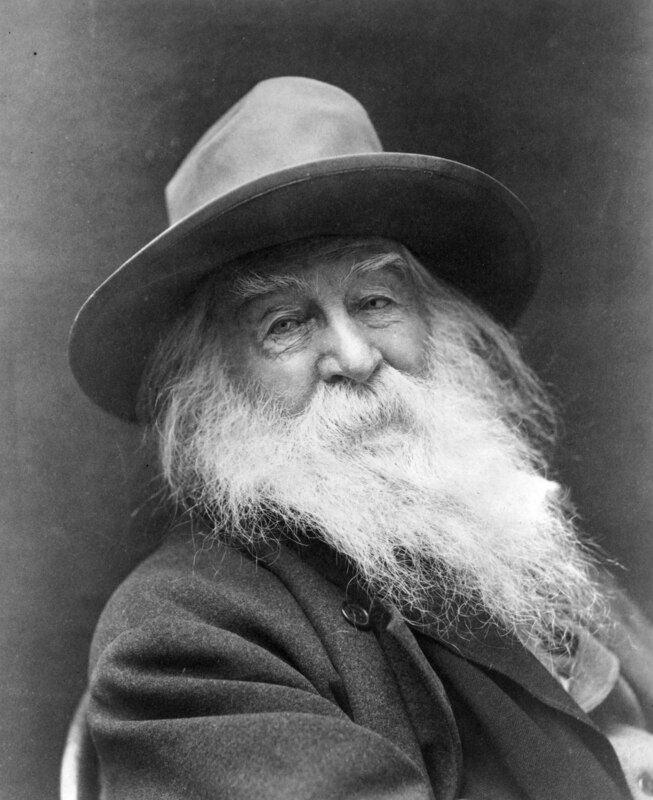 Today, Walt Whitman would be 196 years old. While he may not be present with us physically, he lives in perpetuity with his poetry. Whitman, the father of free verse, is one of my heroes. In my darkest times, I read parts of Leaves of Grass to help ground me. While there are still some who debate Whitman’s sexual orientation, it seems likely that he did have an affair with Peter Doyle. Edward Carpenter recounted his intimate interlude with Whitman to his friend Gavin Arthur, who then recorded the affair in his journal. I suspect Whitman today would have worn the moniker of Queer quite proudly. I feel enveloped in a part of humanity that is flawed, but connected. The connectedness is the rich good stuff–the stuff that gives me hope and optimism. The first I graft and increase upon myself, the latter I translate into a new tongue. For me, this is my religion. Whitman’s words here seem sacred and his sharing of how connected we are, for me, seems to show how natural and fluid sexual orientation is, and the softness of the lines of gender identity–how natural. In some respects, Whitman is responsible for this blog. If you have not read two of my favorites, Leaves of Grass or Crossing Brooklyn Ferry, I strongly encourage you to read these works.